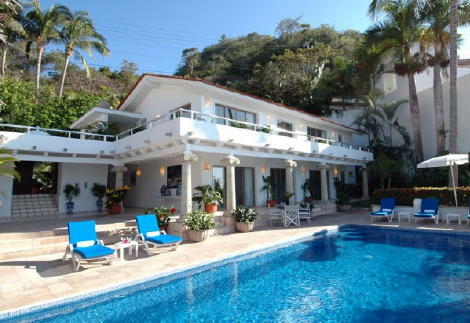 Casa Salinas I is a luxurious private beachfront villa on a quiet secluded sandy beach located in the prestigious South Shore approximately two miles south of town. 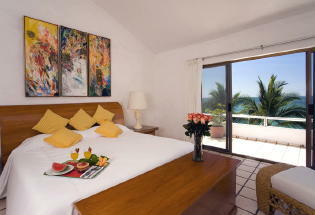 The villa is beautifully furnished with an emphasis on color and comfort. 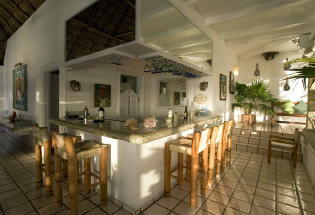 The open-air living and dining area has a unique palapa-style ceiling with lovely ocean views. 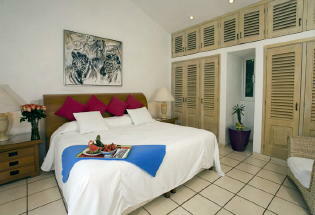 The Villa sleeps up to 10 people in five spacious air-conditioned bedrooms each with private bathroom. The villa boasts a large living room and dining room, commercial size kitchen with water purification system, Satellite TV in all bedrooms and living room and unique art accents each room. Enjoy entertaining around the heated infinity pool and spacious terrace and enjoy the spectacular views and sunsets while dining outdoors or just relaxing around the pool. 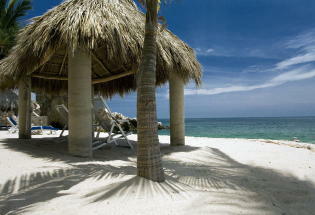 The gracious staff takes pride in serving you with warm Mexican hospitality. 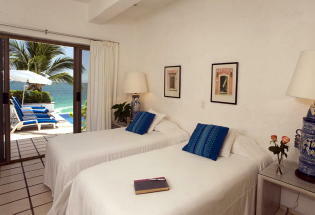 Casa Salinas, with its spectacular ocean views, is an ideal setting for a relaxed and memorable vacation. 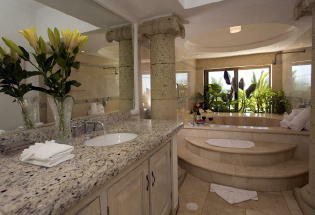 For large groups the Casa Salinas II is adjacent to Casa Salinas I and is also approximately 8,000 sq. ft. with four bedrooms and a one bedroom casita. 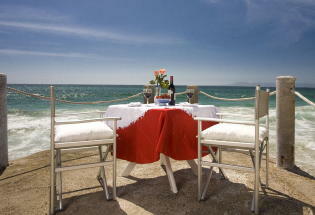 When rented together the villas will accommodate 20 people and all guests can dine together if preferred. Some of the amenities include a new exercise facility, Satellite TV in all bedrooms, AM-FM radio, DVD, DSL Internet access and I-pod stereo connections.